Everyone wants to control the Internet, from tinpot dictators to the entertainment industry, uneducated legislators and the rest. The latest tactic is to force Internet service providers to block off access to websites that are considered ‘infringing’ in some way or another. Despite the technology people telling them this is futile, they’re still intent on pushing misguided legislation, which is where a new freeware tool steps in and makes a mockery of the whole exercise. 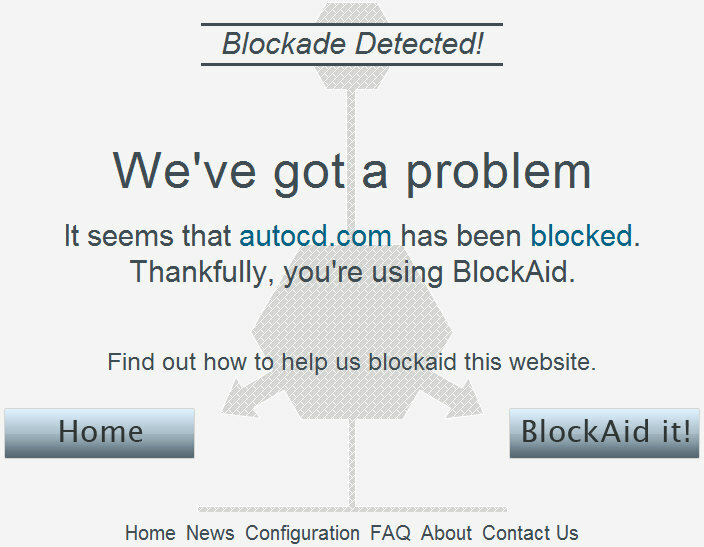 BlockAid is a ‘censorship-free‘ DNS service which bypasses any website blocks or seized domain names by using an independent DNS service to ignore the block. What’s more, you can either set it up manually on your computer, or if you’re a Windows user just download the free DNS Setter software which gives one click access to your favourite blocked websites. The software and system will also automatically detect new seizures as they occur, which makes it easier for people to get domains added to the database so they can be accessed again. The program is not browser limited, so it can be used with any web browser configuration, and UK users will be pleased to know that the system can be used to get round the recent court ordered ISP blocks, which are currently being contested by certain ISPs. So what does this all mean? Well once again the Internet is taking steps to route around attempts to control access. The developers of the software are not trying to encourage evil (for instance, they will not support sites encouraging any form of child abuse), but they are trying to ensure that special interest groups and despots around the world will not be able to block access to a free and open Internet service on a whim.